Finkel, E. et al., “A Brief Intervention to Promote Conflict Reappraisal Preserves Marital Quality over Time,” Psychological Science (forthcoming). Khan, R. et al., “Ideology and Brand Consumption,” Psychological Science (forthcoming). Halpern, S. et al., “Default Options in Advance Directives Influence How Patients Set Goals for End-Of-Life Care,” Health Affairs (February 2013). Organizations often tolerate unfair jerks in their ranks, even near the top of the power hierarchy, if only because they seem to be productive. However, a new study suggests that their presence may contaminate co-workers more than we assume. Researchers presented subjects with a profile and picture of someone described as a fair leader and someone else described as an unfair leader. 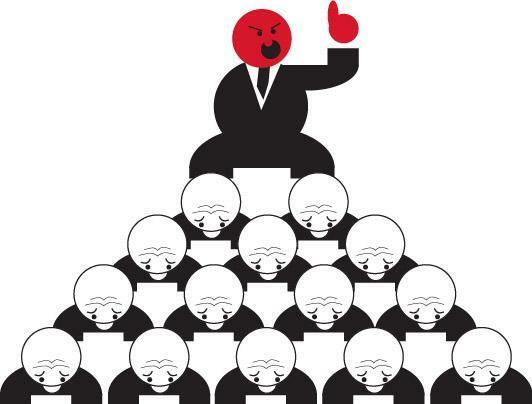 Then, in a computer task, the participants were subliminally exposed to the image of either the fair or unfair leader. Later, in an ostensibly unrelated managerial role-playing task, participants who had been exposed to the unfair leader wrote a harsher dismissal letter—with less contrition and explanation—to a fired employee. Zdaniuk, A. & Bobocel, R., “The Automatic Activation of (Un)Fairness Behavior in Organizations,” Human Resource Management Review (forthcoming). Previous research has shown that people in a good mood tend to think more broadly and creatively. But is the converse true: Does thinking more creatively improve mood? In two free-association experiments, a team of psychologists found that people who came up with freer word associations (e.g., given the word “race,” they associated the more creative “rat” rather than the narrower association “win”)—whether on their own or because they were prompted with broadly associable words—subsequently reported being in a better mood. Brunyé, T. et al., “Happiness by Association: Breadth of Free Association Influences Affective States,” Cognition (April 2013).